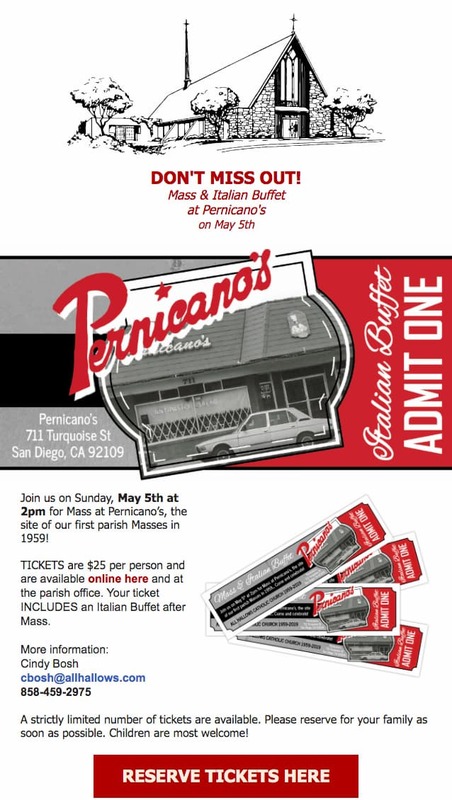 Join us for Mass followed by an Italian Buffet at Pernicano’s Pizza House, the site of the earliest parish Masses. Celebrate our history with Mass at 2 p.m. and a buffet to follow, for just $25 per person. There is a limited capacity.